Fall is upon us and the trees are settling in for the winter. 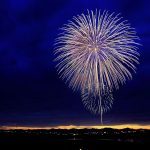 This is a great time to do preventative maintenance in your home, and have your main sewer line cleaned. Cleaning your sewer pipes will prevent any sewer clogs or back ups during the winter time. Trees are looking for a source of water during the harsh Colorado winters, and one water source for trees is the sewer line that goes from your house to the city main. Roots getting into your pipes can clog your sewer line. 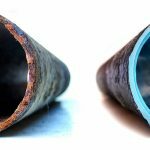 Here are some signs that you possibly need sewer or drain line maintenance. Sign 1: Having gurgling sounds when flushing your toilet is a sign that the mainline is near a back up event. Sign 2: Slow drains in your sinks, showers, and bathtubs can indicate a possible potential backup. Sign 3: Having bad odors coming from sinks, toilets, and drains. Sign 4: Finding water around the floor drain or in the shower that has dirt and debris around it means your pipes need immediate attention. Cracked or broke sewer lines are other problems that can occur from not maintaining your sewer pipes. Roots seeking water will find any small cracks and grow into the pipe causing damage to your sewer line. Once roots get into the pipe, they grow, expand and press your pipe apart. Cleaning out any root growth is one good reason to have your sewer line properly maintained and cleaned in the fall and spring every year. Sewer back ups and flooding of your property are potential problems. Nobody wants their sewer line backing up into their yard or inside the home. This can happen when your sewer is not properly maintained. There are a few methods of drain and sewer line cleaning. The type used depends on the nature of the clogging problem. Cabling. We use a standard cable which cuts the roots out and cleans the pipe. Root-X: Root-X is a rooter killer. After tree roots are cut out, Root-X is used to help kill off any existing roots. 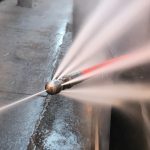 Hydro Jetting: Hydro Jetting the line in conjunction with a root cutter is a very thorough cleaning to remove any tough to remove roots or debris. King Rooter & Plumbing recommends that you have you sewer line inspected and maintained on a regular basis. 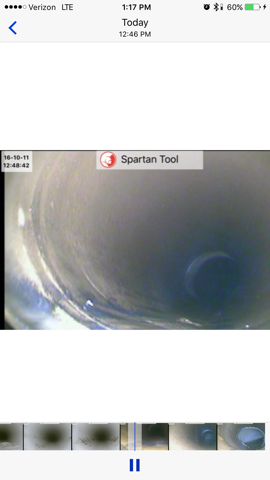 We also perform sewer camera inspections to determine what is clogging the pipe, and to make sure that there is no damage done to the line from roots being removed.